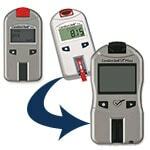 This software is to be used only with the CardioChek Silver PA or the CardioChek Plus analyzers. 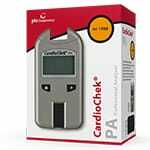 CardioChek Silver PA must be purchased separately. 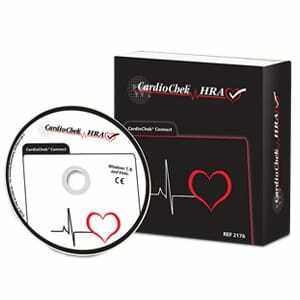 The CardioChek Health Risk Assessment (HRA) program is designed to capture biometric data transferred directly from a CardioChek® PA device linked to a computer. The HRA provides a snapshot of an individual's health* on a visually informative report summary page that is easy to understand by both healthcare providers and the participants being screened. Based on the Framingham Heart Study, the HRA provides a representation of an individual's risk for cardiovascular disease through a Cardiac Age calculation. Risk factors including gender, age, total cholesterol, HDL cholesterol, blood pressure, smoking, and diabetes are components of the Cardiac Age. The desired result is for an individual's Cardiac Age to be younger than their biological age. The health risk assessment readings are not to be used to change your lifestyle, diet, or medical therapy without the consultation and recommendation of your health care provider.